With an 11" fuel-injected intake manifold flexing out of the top of a 502" big-inch Rat, the GMPP Ram Jet 502 is just plain cool. Not only attractive, the Ram Jet intake adds a significant amount of function to the big-block with amazing throttle response that you just have to experience to believe. Combining our aluminum-headed 502 with a modern fuel-injected intake results in 502 horsepower and 565 lb.-ft. of neck-snapping torque. With the Ram Jet intake, you also have over 500lb.-ft. of torque available from 2200 rpm on up. *Applications have not been validated. 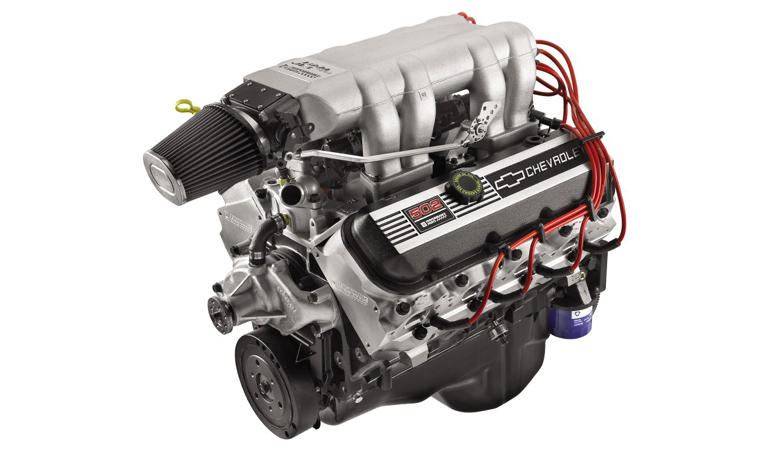 They are merely suggestions of how you might enjoy your GM Performance Parts crate engine. Some applications may affect engine warranty. Some applications may not be emission legal; check state and local ordinances.